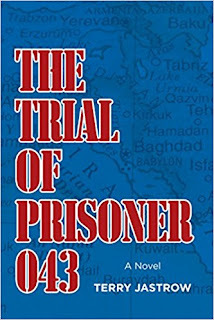 Terry Jastrow is the author of the new novel The Trial of Prisoner 043, which imagines what would happen if George W. Bush were charged with war crimes before the International Criminal Court. He also has written the play The Trial of Jane Fonda, and also is a screenwriter, director and producer. Q: How did you come up with the idea for The Trial of Prisoner 043? A: It was about four years ago. I spent three and a half years researching and writing the book. I was wondering, and was concerned about humanity and the direction in which mankind was headed. I feel the amount of discord and difference that exists in humanity continues to grow and not lessen. 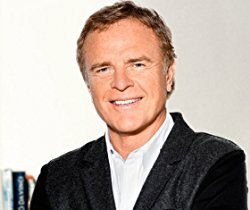 Governments are not going to do anything about it, the military has every interest in war, and the press…[all these institutions] profit from it. Are we all destined and doomed for war? No. The common man, when engaged and coupled together, the combined voice of people of good will can trump all. There’s no voice stronger than the voice of an artist. I thought maybe I should do something about it. And I love to tell stories. I knew George W. Bush and have absolutely nothing against him personally. In fact, he’s a pretty terrific guy to have a beer with or play golf with. But I had a problem with the Iraq war. I was 20 when the Vietnam draft lottery occurred. A lot of my friends were drafted. I’ve had a front-row seat to terrible wars. No one would say all wars are unnecessary. You think of World War I and World War II. But some are not necessary. The final piece of the puzzle [involved the International Criminal Court, which officially took effect] in July 2002. Bush waged war in 2003. He would be the first leader to be subject to international criminal law. A: I hope it’s entertaining and informative. I don’t think artists go far if they tell a boring story. You go further if you tell a story that’s interesting and engages readers’ interest, if it has them wondering what’s going to happen. I want it to be entertaining and interesting and educational to the extent that this novel takes place in the future. It’s highly unlikely it would be true, but it’s not impossible. In international criminal law, those suspected of the worst crimes carry no statute of limitations. Q: Has George W. Bush read the book, or if not, do you think he’s likely to do so? Q: What did you see as the right blend of history and fiction as you wrote the book? A: Clearly I wouldn’t have written the story if I had to fictionalize all the names. It would have been too obtuse. 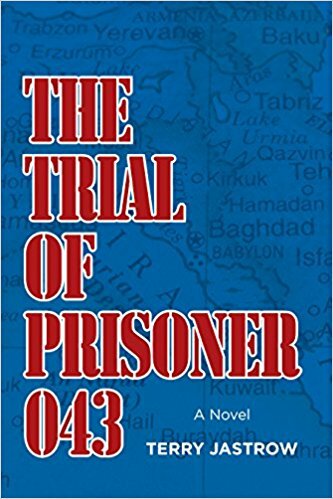 With attorneys, I carefully read and understood the legal implications of the novel, and I understand the parameters. One learns very early on that a lot of the principal characters in the book [include] George W. Bush, Colin Powell, Condoleezza Rice, and great journalists like Bob Woodward—they have written great stories. There’s tons of material out there that’s every bit as true as the truth can be verified. You had to create characters to create the International Criminal Court prosecutors, the judges, the defense team. One is led by common sense, and by what’s interesting. Q: What pre-publication reactions have you had to the book so far? A: When I launched out to research and write the book, I will tell you even my wife, my sons, my brother, my sister, the people closest to me, all blanched at it and urged that I not write the book. But for me, it’s about war and peace, is humanity going to continue to allow potentially illegal wars to happen. If not, somebody’s got to draw a line in the sand. If not others, what about me? They’ve all read the book and love it and are totally supportive. You just shoulder through. Researching and writing a novel is like an intellectual ascent up Mount Everest. It’s a huge undertaking. You better have the passion to tell the story. Q: You’ve written a play called The Trial of Jane Fonda. Why did you decide on a novel this time? A: I love storytelling in all forms. I like to consume stories and create stories. I was a producer and director of television sports for a couple of decades, and I’ve written and directed movies and written stage plays, but I felt this story could best be serviced with a novel. It’s so dense. I was locked into the idea that if I was going to tell the story, it would be a novel, though I hope one day it would be a movie or multi-episode television series. A: However difficult, I fell in love with the concept and challenge of a novelist. I’m working on another novel. I don’t necessarily want to articulate too much, but it has to do with what Shakespeare said: Past is prologue….I think people continue to make the same mistakes. It’s a novel about what has happened and how it could inform what could happen. Q: Anything else we should know about your book? A: As I’m on the cusp of being about to go out into the world and tell the story of my book, I’m excited about the prospect because it’s my secret hope that we enter this subject into conversation, that it get more attention. It may sound arrogant but it’s the truth. I hope people read the book and wonder about the Iraq war, the current president and the saber-rattling that’s occurred. On what basis is it legal? I hope people become more aware of the International Criminal Court as it was in…2002 and existing as it does in The Hague. It stands above all national courts when they are unwilling or unable to prosecute potential criminals. Humanity needs the International Criminal Court. It needs to be protected and defended.